A sow rests inside Guangxi Yangxiang's high-rise pig farm at Yaji Mountain Forest Park in Guangxi province, China, March 21, 2018. Picture taken March 21, 2018. WH Group’s net profit shrank by 31 percent to $199 million from a year earlier, according to a Reuters comparison of nine-month results released on Oct. 30 with earlier interim results. The U.S. pork trade to China is "not viable" after Beijing imposed tariffs on imports of American pork, Smithfield Foods Chief Executive Ken Sullivan said on Oct. 26. African swine fever could also hurt pork shipments worldwide next year, according to Sullivan. 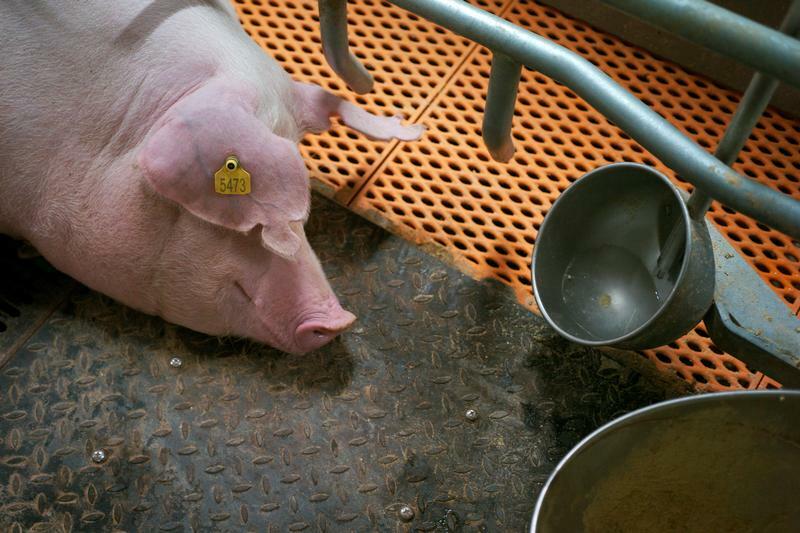 Smithfield Foods is a wholly-owned subsidiary of the Hong Kong-listed WH Group. In April, China imposed a 25 percent import duty on most U.S. pork products. U.S. pork and soybeans also were included in a second round of tariffs Beijing introduced in July. China has already culled around 200,000 pigs due to an outbreak of the highly contagious disease.